The 2016 Ram 2500 is a full-size truck that delivers amazing results no matter what you ask it to do. It transports passengers safely, gets your cargo to where it needs to go, and is packed with performance. Premier Chrysler Jeep Dodge Ram wants to take you for a spin in this versatile pickup truck and show you all the great things the 2016 Ram 2500 can do! So if you live in Metairie, Kenner, and Slidell come into our New Orleans showroom and see what everyone's talking about. Let our professional salespeople make you a great deal and send you home in a 2016 Ram 2500 today! The powerful 2016 Ram 2500 is a tough truck to beat in any arena, and though some try, they fail to touch the upper echelon of truckness. Take a look at how the Ram 2500 stacks up against the Ford F-250. When you own a truck, you probably have reason to haul a lot of gear and cargo in the bed. And most likely, you also need to tow things now and then. When properly equipped, the 2016 Ram 2500 can tow a hefty maximum of 17,980 pounds! In fact, it was named best-in-class for available diesel towing at 17,790 pounds. Even with its biggest engine, the Ford F-250 maxes out at 16,100 pounds; giving it a towing capacity of more than 1,500 pounds less than the 2016 Ram 2500. So if your business or family outings require you to haul a trailer, boat, or another vehicle; the Ram 2500 is the clear choice for you. Both the 2016 Ram 2500 and Ford F-250 offer available diesel engines because they ae more reliable and can withstand heavy loads better. Also, the way the engine operates, they're ultimately more fuel efficient. The Ram 2500 offers an available 6.7-liter Cummins Turbo Diesel inline six-cylinder, which gets you 865 pound-feet of torque. It also provides a best-in-class 15,000-mile oil change interval. 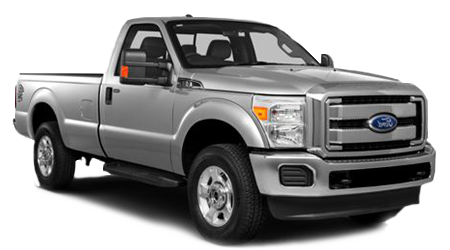 The Ford F-250 offers a 6.7-liter Power Stroke Turbo Diesel V8 with 860 pound-feet of torque. The 2016 Ram 2500 Diesel engine can also be paired with an available manual transmission while the F-250 diesel only works with automatic. The 2016 Ram 2500 really shines in the warranty department as well. Purchase one of these handsome trucks, and you will get a 5-year/100,000-mile powertrain limited warranty; trust us, these beasts are made to last. A bumper-to-bumper 3-year/36,000-mile warranty is also included, which covers everything from the body to electrical systems. Compare that to the F-250 warranty where you will get the same bumper-to-bumper coverage, but only a 5-year/60,000-mile powertrain warranty. So if you travel a lot (and who doesn't, in a truck? ), the Ford F-250 warranty may not cover you. Score another for the 2016 Ram 2500. 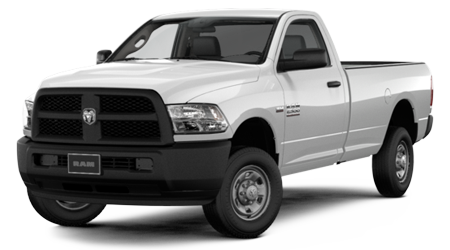 Bulk up your business or family fleet with one of the toughest trucks on the market; the 2016 Ram 2500. Premier Chrysler Jeep Dodge Ram has the Ram 500 as well as the rest of the sturdy Ram truck family so come and see us in New Orleans today for your next new truck. Our dealership is located at 13000 I-10 Service Rd in New Orleans and welcomes all drivers and truck lovers from Metairie, Kenner, and Slidell and the surrounding areas.